I know it is too early for me to feel fed up and drained but that's what I'm feeling right now. But not because of my work but because it seems that my social life is slowly fading. For that reason, I took time to breathe in, slow down and breathe out with my busy weekday life and staycation is the consolation prize. Ahhhh... And I thank KL Tower Serviced Residences for accommodating me. KL Tower Serviced Residences is strategically located at the heart of Makati City; along Gamboa St. in Legaspi Village. Knowing its prime location, it provides utmost convenience as leisure centers, chic restaurants, and reticent coffee shops were just a few blocks away. 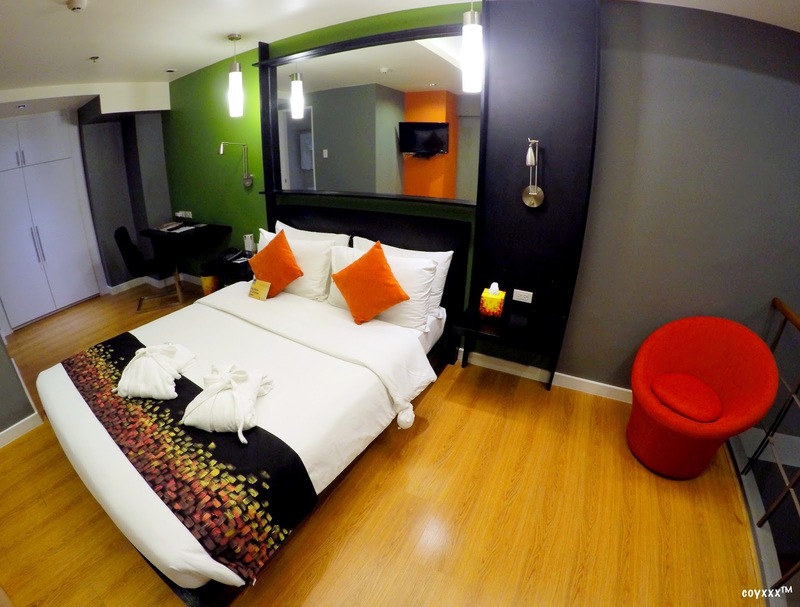 KL Tower Serviced Residences is one of the few properties managed by Hospitality Innovators, Inc. (HI! 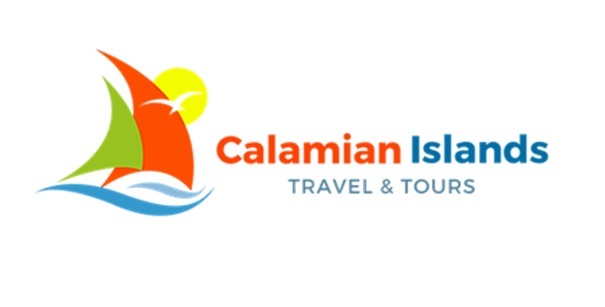 ); known for its world-class hospitality offering great choices, great service and great value experience. With that, each room is designed with chic and stylish interiors and it is fully furnished tailored on everyone's needs. KL Tower Serviced Residences have 6 different types of accommodation – Studio Deluxe, Studio Premiere, One Bedroom Deluxe, One Bedroom Loft, One Bedroom Premiere and Two Bedroom Suite. The one I got is the One Bedroom Loft and I am really impressed and overwhelmed with its amenities knowing its price. The One Bedroom Loft features a living room, kitchen and dining area and a veranda. The kitchen provides an option to prepare your own meals as it comes with an electric stove, refrigerator, microwave oven, and coffee maker. Likewise, cookware and tableware are also provided. Moreover, complimentary coffee, tea and water as well as well-stocked mini bar are also available. Other amenities includes 2 bathrooms with hot and cold shower, towels and toiletries including dental care kits, individually controlled air condition, cable LED television, IDD/NDD telephone facility, high speed internet connection, working desk, hair dryer, safety deposit box and flat iron with iron board. It also offers special services such as airport transfers, laundry services as well as in-room massage. There are also other facilities in KL Tower Serviced Residences worth mentioning especially to active individuals, such as indoor swimming pool, well-equipped fitness center and sauna which are all excellent place to relax and unwind. Not only that, kids could have all the fun all day as there's a children's play area available. Likewise, KL Tower Serviced Residences have an in-house restaurant through Kitchen 1B that serves equally appetizing dishes in nearby restaurants and fast-food joints. They also boasts function rooms that serves as perfect venues for corporate events and meetings and other intimate gatherings. It was late afternoon to early evening when I arrived at KL Tower Serviced Residences and from the moment I stepped on its doors I was greeted by sweet smiles and warm greetings by the staff. Check-in process was fast and efficient; in less than 10 minutes we were already in our room. 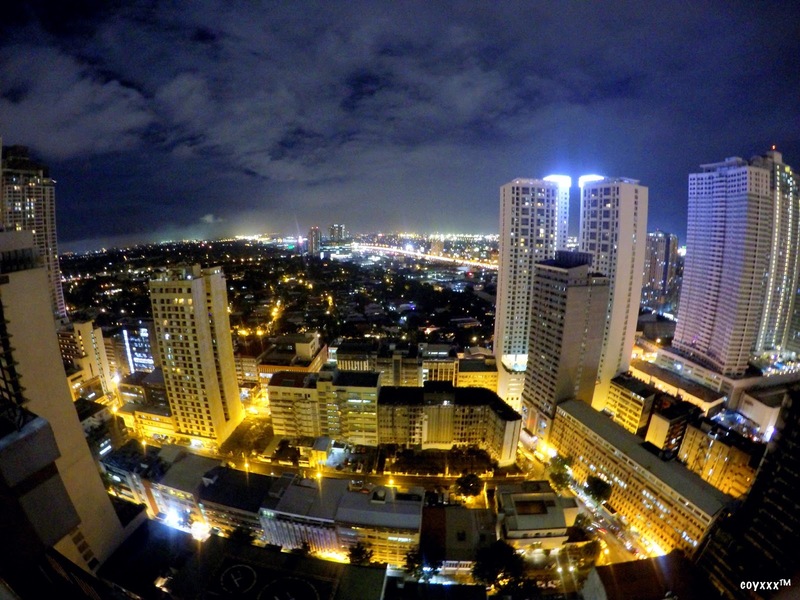 Since it was Friday night that time, I am excited to catch a glimpse of the magnificent view of Makati's skyline. Guess what, KL Tower Serviced Residences did not fail me that night as the city was glowing in its full glory. Aside from the view, the bed itself is something to look forward (always). Their king size bed is perfectly right; with its firmness and huge fluffy pillows plus the comfy cotton sheets. Ahhh... Heavenly touch! In case you feel tired of lying down, there's a sofa bed where you can sit or extend your cuddle moments. It also features a high ceiling adding to room's cozy atmosphere. Furthermore, room rates are very competitive knowing its amenities and services. 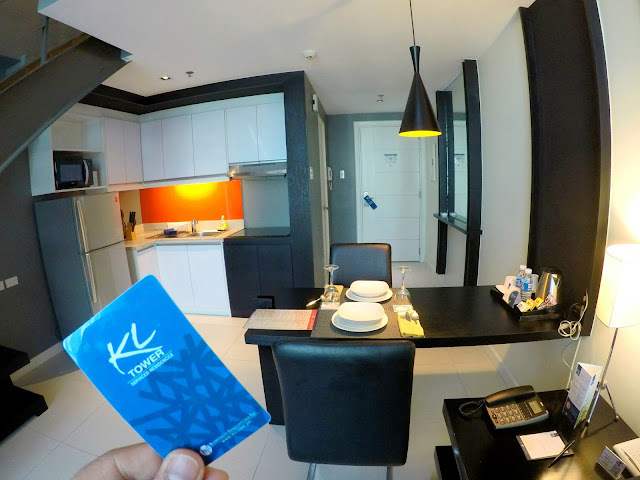 Nonetheless, KL Tower Serviced Residences made my stay worthwhile and it exceeded beyond my expectations. 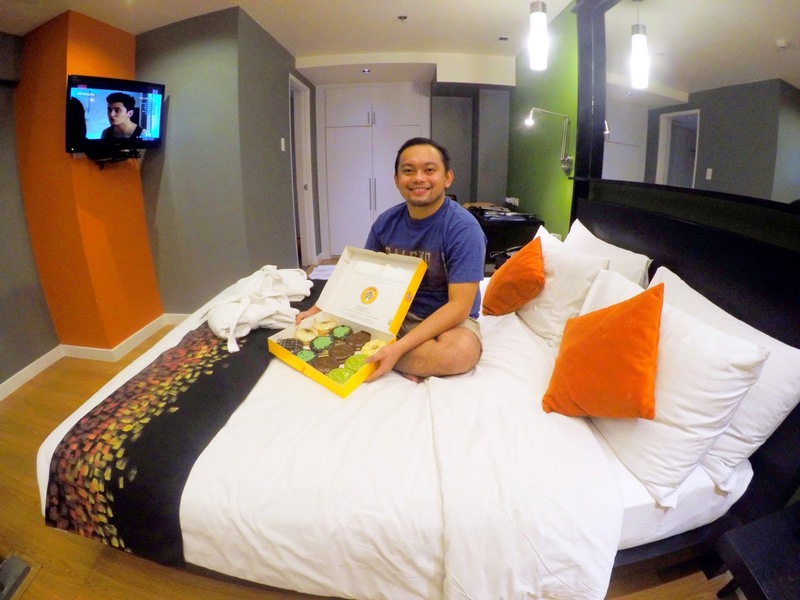 I highly recommend to make KL Tower Serviced Residences as your next staycation destination! 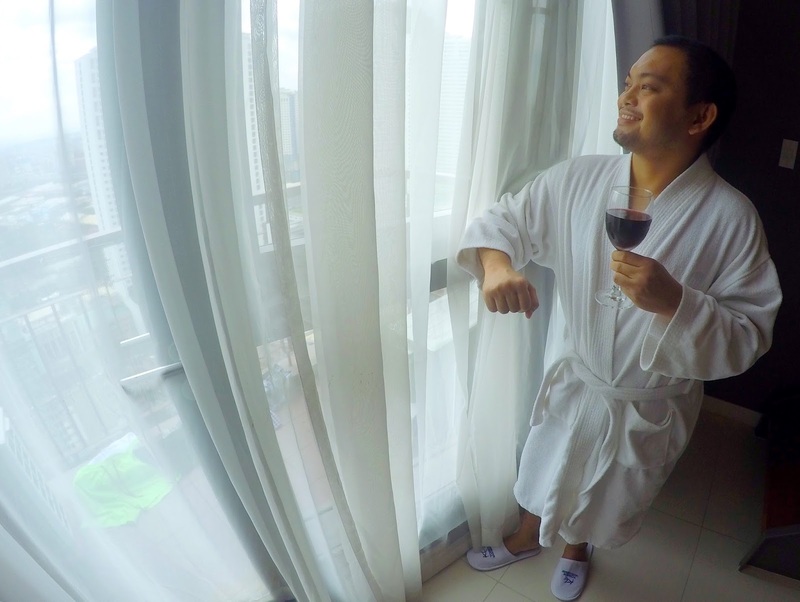 DISCLOSURE: The stay was sponsored by KL Tower Serviced Residences but rest assured, opinions written on this article are solely my own. *Special thanks to Ms. Kathy Progalidad, KL Tower Serviced Residences Sales and Marketing Manager!